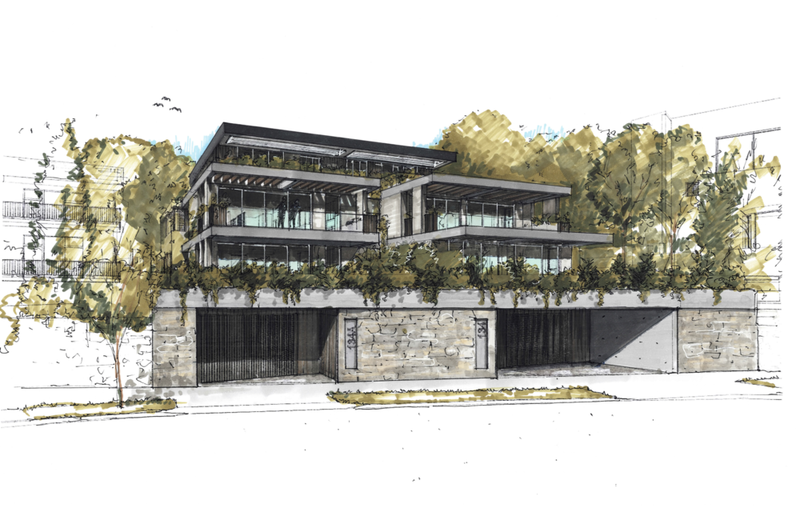 Located over 2 prominent sites in Bellevue Hill, this development combines two new adjoining luxury duplexes. Each duplex consists of a large garden unit and a first floor plus penthouse suite. The building comibines luxe, natural materials such as stone cladding, board formed concrete, sandstone and timber.